We designed and manufactured whole set of equipments and tools for underground power cable or comunication cable installation. Our products comprise of cable pullers, cable winches, cable guiding rodder, cable drum trailer, cable drum stand, cable roller, cable socket grips etc. 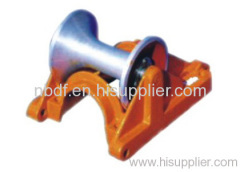 Corner Cable Rollers are used for installation of underground cable in the tunel with corner. 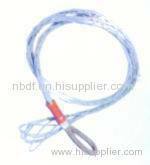 CABLE ROLLER is used for installation underground power cable or communication cables. Cable pulling winch is used for pulling underground cable in the trench or on the ground, it is electric and used with catepillar pusher. 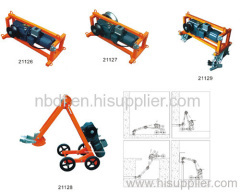 Hydraulic Cable puller is used for pulling underground power cable in the trench. It is equiped with diesel engine and hydraulic motor system. The duct rod is used to install pulling rope into ducts, prepare for cable pulling operations. It is made of high strength fiberglass. 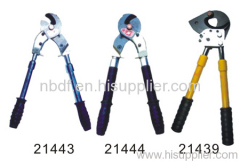 Cable cutter is used for cutting aluminum, copper or multi conductor power cable and communication cables. 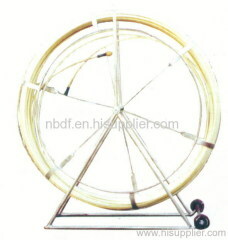 The cable drum trailer is used for transportation or lifting the cable drum in cable installation operation. 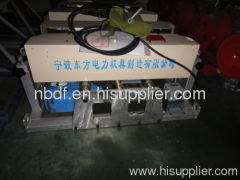 Electric cable pulling winch is used for pulling underground cable in the trench or on the cable on the ground or tray. Group of Underground cable installation equipment has been presented above, want more	Underground cable installation equipment and Underground cable installation tools, Please Contact Us.